the Wild About Color blog. 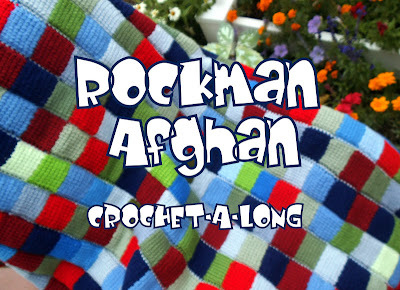 it's full of warmth, love and crochet!!! This will fit the little one when she is about 9-12 months. Crocheted with "Ella Rae Classic" wool and "Stitch Nation - Washable Ewe". eliminating the straps and adding a slightly decreasing waistband. a great opportunity to work on a newborn dress. Small stuff crochets up fast! Small stuff grows up fast! Cute cute! It looks fab with the roses! It's going to look adorable on. Can't wait to see my girls in their dresses. Your little ones will be so cute in their dresses! Thanks again for the time, love and energy you put into writing this pattern. I love it! Have had five requests at work to make for co-workers children/grandchildren. It's becoming all the rage! 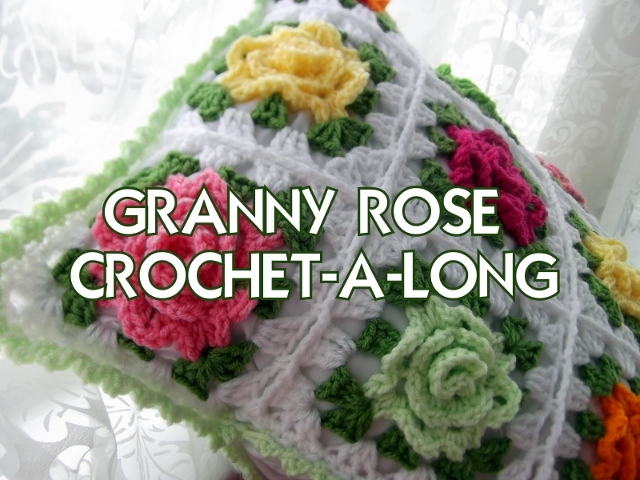 You are welcome Maggie; your crocheting of the granny roses is so pretty. Haha - Thank you. This was really fun to work on! Of course I love this! The colors and the neat stitches...it sings to me! I have a grand niece...this would be so cute to make for her. I think we are kindred spirits (like Anne of Green Glades would tell her BFF). 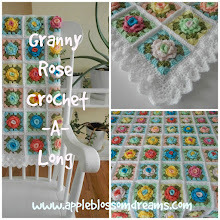 Thanks for linking me up for the Granny Rose C.A.L.!!!! That was so sweet of you. Thanks for playing along - you make it fun! Oops should be "green gables"....mistype! Glad I'm not the only one that mistypes! Thank you! This is the 6th grandchild! Unfortunately none of them live close to us though. :-( I am Grandma Spicy! How sweet this will be for your coming little grandgirl. Congratulations! We had our first (boy) last summer, there are no words to express. I loved your last words on your post ... babies, a reason to crochet. I'm looking for comments, etc., on why we all crochet. This fits perfectly. Can't wait to see all the wonderful thing you make for this little one. Aha - a good reason indeed. Thank you, Glor, for your sweet comment and congrats on your first grandchild! How heart warming Shari! I bet your gifts from the heart wrap these little ones in love and kindness. Very special.